Currently we are in what is typically the slowest time for college football news. Also, we have just entered the dead period for recruiting. The period runs from June 25 to July 24 and is the most restrictive of them all. No in-person contact is allowed, even if a prospect makes a visit to the college campus. Written and electronic communications are still permitted. So, while things are quiet there are still some prospects and storylines to not lose sight of. We have entered the territory where the number one storyline in all of Husker recruiting might just be what school will Omaha Burke 4-star linebacker Nick Henrich‍ choose. His timeline of making a decision prior to the first game of his senior season doesn’t seem to have changed. If that is the case, then Wisconsin got the only official visit of his recruitment and Nebraska got the last visit as he took an unofficial to Lincoln the day after visiting Madison. That bodes well for both Big Ten West rivals to be the final two schools for Henrich. Nebraska is in a strong position here, having built a tremendous relationship with Henrich. Could a decision be looming at the conclusion of the dead period? One name there was a lot of talk about (and now things have seemingly gone quiet with) is 4-star defensive end Ty Robinson‍ from Higley High School in Gilbert, Arizona. Robinson, who has family ties to the state, has been on campus this spring. Back in April he told me that his time with defensive line coach Mike Dawson was great. Things have slowed down with Robinson who seemed cruising towards being ‘N’ during the spring. It didn’t happen then but don’t lose track of him as we make our way through July. Speaking of players that we all thought would be on the commit list by now, defensive tackle Tony Fair‍ from Pima Community College went from having a decision date to grinding his recruitment to a halt. Even though Fair has not committed to Nebraska, I still have confidence that he eventually will. He has an official visit planned for the fall with his family that will likely go a long way towards getting him in the class. 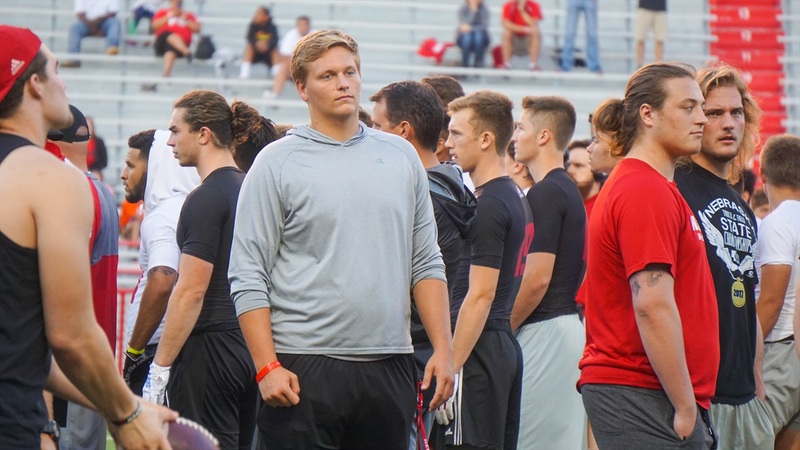 With all the focus the staff has put into the 2020 class (rightfully so as many believe the talent is even better in 2020 than 2019) will there be a player this summer that kicks off the class of 2020 for Nebraska? In the Big Ten, only Michigan, Ohio State, Wisconsin and Minnesota have commits in their 2020 classes. I’m sticking with my prediction that Alabama 3-star QB Logan Smothers‍ will be the player that kicks off the class. The other two players to keep an eye on are 4-star WR Zavier Betts‍ and 4-star OT Turner Corcoran‍, though both of them could let the process play out more.